I mentioned here that I had some ladies over on Sunday night for a casual evening of paper crafting. 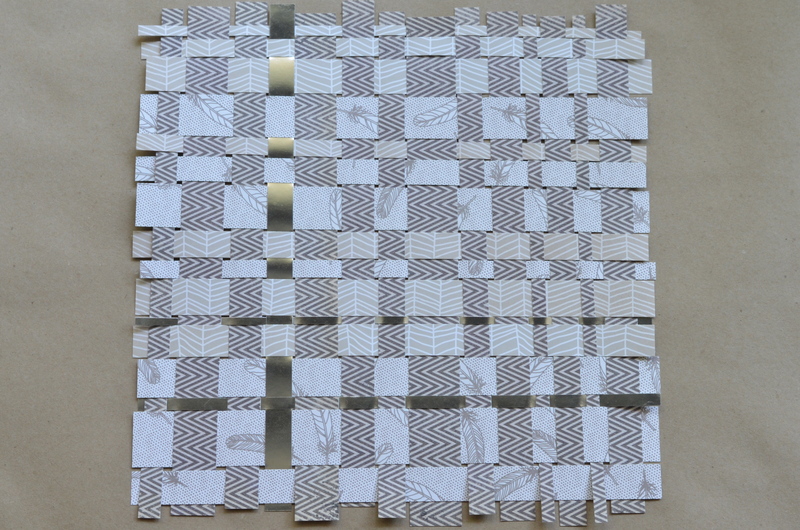 We all worked on paper weaving projects, both big and small. 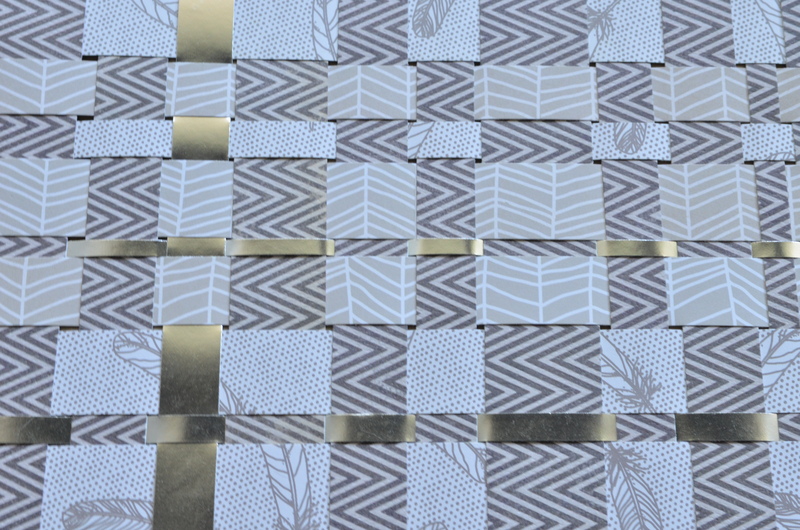 I’ve been wanting to do some paper weaving for awhile now, and the stars finally aligned for all of us to get together and try it out. We each tried something different… Linda did a weaving with a vacation picture and a journal page, Jackie worked on a fabulous sushi weaving and a huge weaving of British-themed papers, Karen practiced with some old craft papers and I was aiming to finish a small piece of art for the bathroom. My creation is one of the three DIY art pieces that I mentioned during my Summer Manifesto. (“Summer” is going to extend into September around here!) 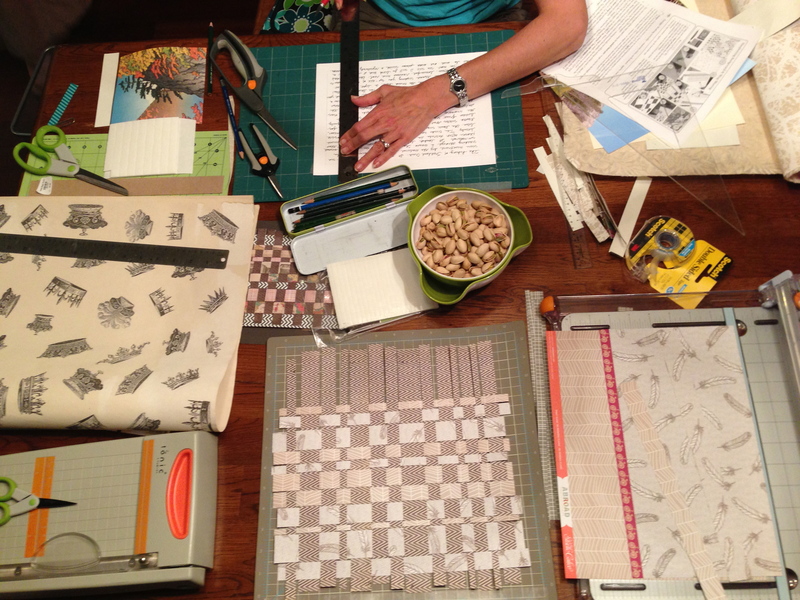 The weaving is made from four different 12×12 scrapbooking papers, all shades of grey of course. I am going to put in into one of these frames (I have an extra) and hang it in the master bath. I added the shiny silver at the end and I quite like the little shine it adds to the otherwise monochromatic (aka DULL) weaving. (For the record, I like monochromatic…and dull.) I’m waiting until after our vacation to frame it and hang it. I’ll share that with you when it’s all ready. Perhaps when that is done, I can actually show you the bathroom? For today, I am dealing with a broken air conditioner (nothing like shelling out money for that right before vacation! ), cleaning our apartment and trying to get our ducks in a row with cat/house/garden sitters and packing. I can’t believe Japan is just a few days away! !